The design of the Blossom Bulbs mimics what you see in nature – “diversification through growth”. This means that each Blossom Bulbs shoot varies in length and width. Even the light bulbs vary in sizes and colors. Bamboo is a great material, it is flexible, durable, even water resistant, inexpensive, and a sustainable resource as it grows quickly compared to other types of woods. 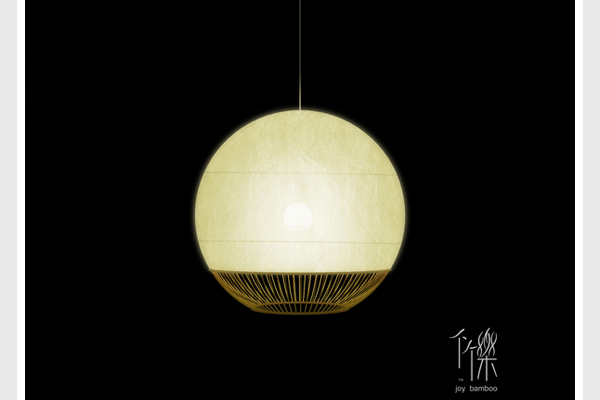 This makes it a unique material – allowing for creative bamboo lamps and light designs. 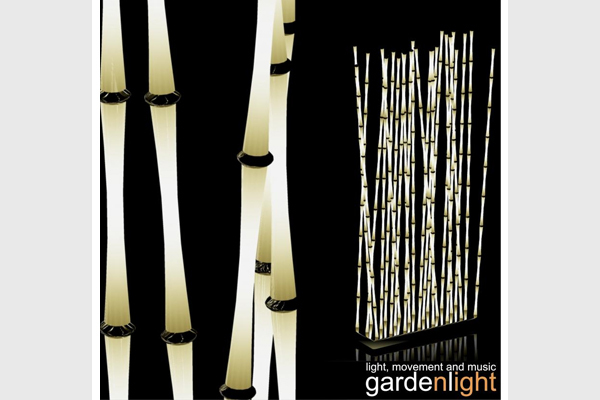 Below are 4 concept light designs that incorporate bamboo into them. 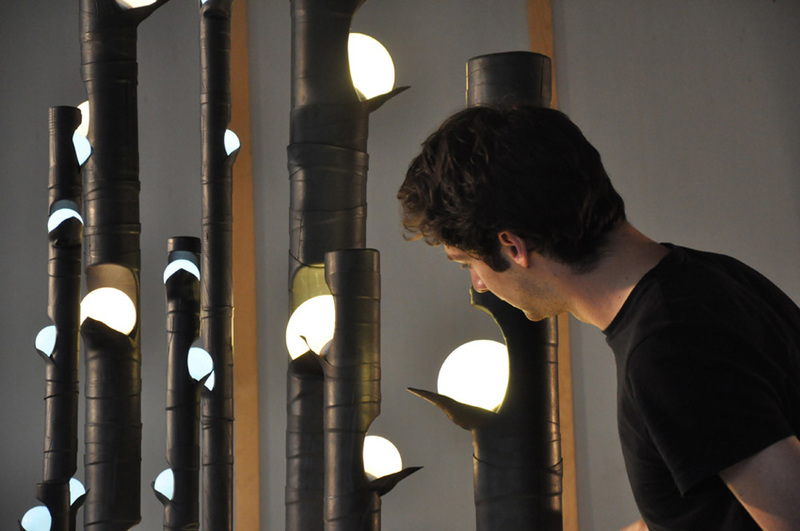 As they are concepts, these bamboo lights cannot be bought – but some are simple enough that they can be made at home. 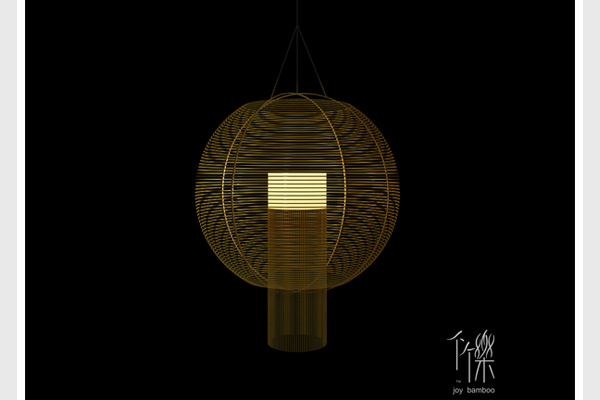 The Zhu Guang, designed by Fanson Menq, is an elegant décor piece in the day and a beautiful light at night. 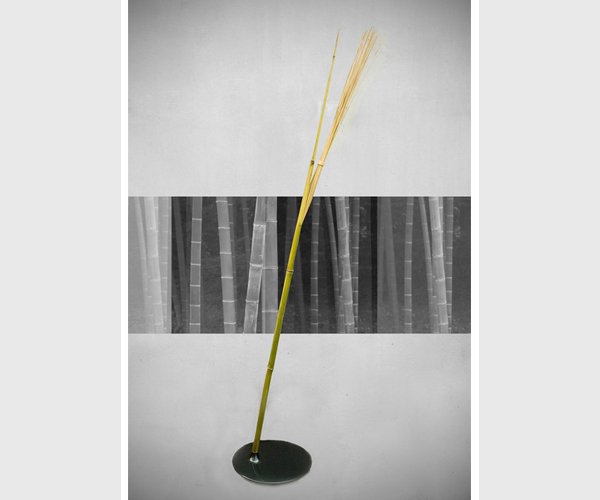 It is an indoor bamboo floor lamp made from a single bamboo shoot. Half of the top half was sliced into strands which covers a thin CCFL light tube. 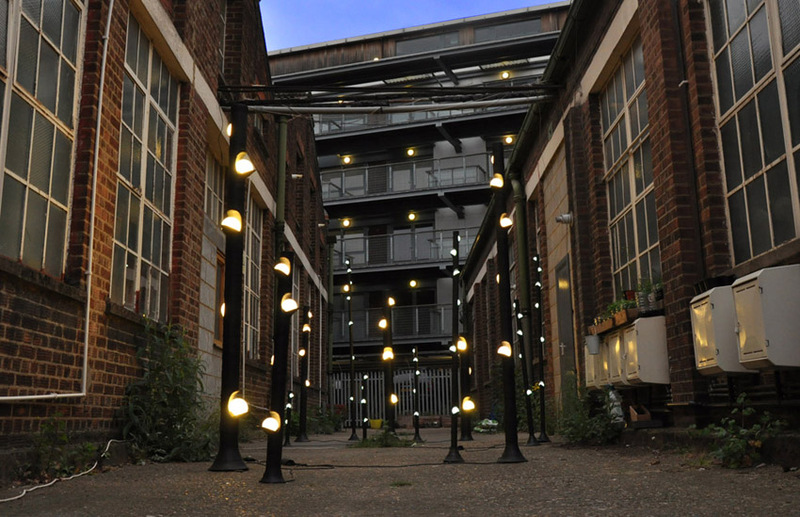 Flow was designed to provide sustainable and affordable lighting to 3rd world areas in Africa and South America. 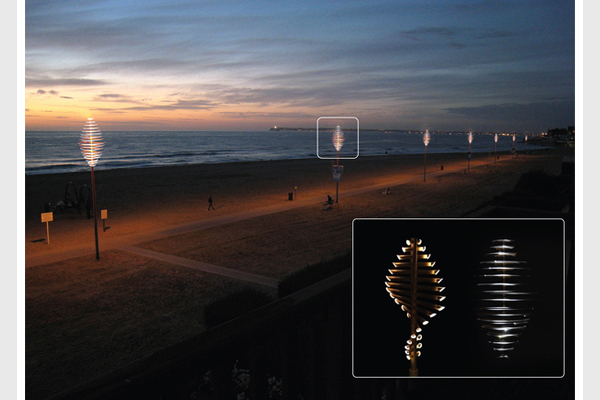 Designed by Ingendesign, Flow is a wind-powered light system made out of bamboo shoots. As the bamboo shoots get spun around by the wind, it powers a dynamo which generates electricity for a number of LED lights. Bamboo was chosen because it is a material that is inexpensive and an abundant resource in a lot of 3rd world areas. Orivas of LED Emotionalize has designed a modern version of a Zen garden using bamboo as inspiration. 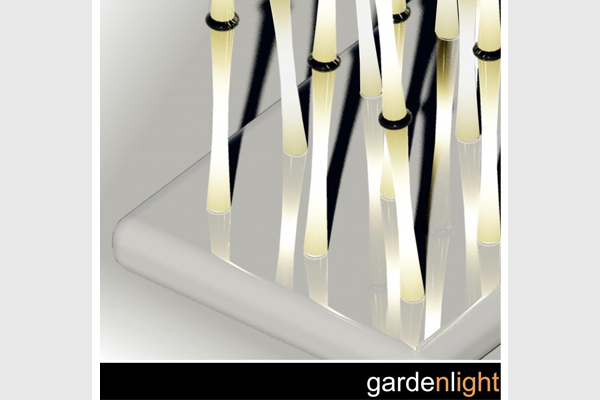 The aluminum base supports the “bamboo” which is made from translucent acrylic. Made for the garden, it can also be used indoors as a room divider. Here are a few bamboo lamp shades designed by Blair Lewis using bamboo and handmade paper. The shapes were inspired from traditional Chinese art shapes to ocean yachts – you can find more designs here. 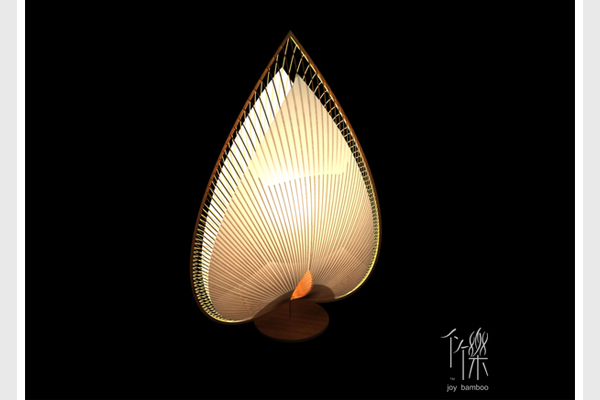 This next example is not a concept bamboo lamp, but the interior design of a Japanese restaurant in Hanoi, Vietnam. 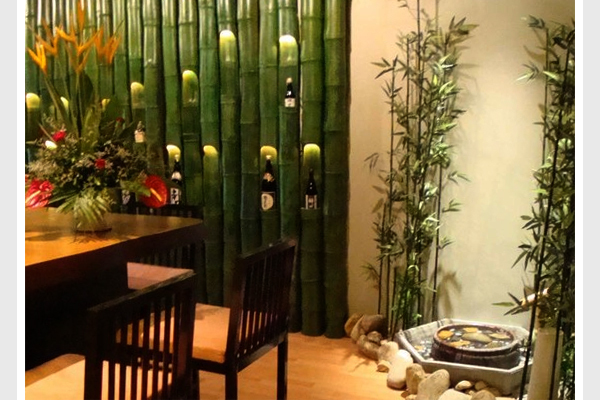 The restaurant uses bamboo in many of the decorative elements, including displaying their Sake bottles. The bamboo has not been modified much to accommodate the bottles. They have been left in their natural state, making them elegant structures. A simple cutaway has been made to house the bottles. 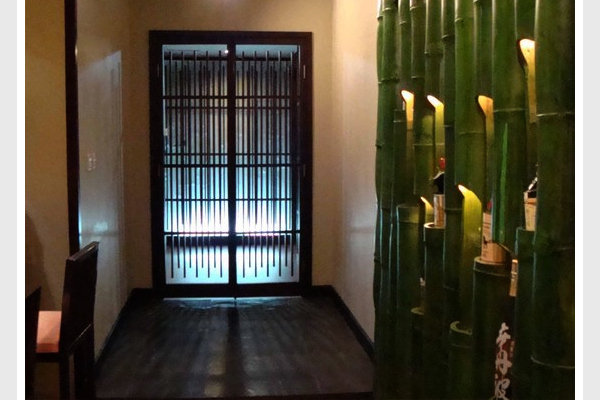 A light has then been fitted above the cut away to showcase the bottles – creating a wall of bamboo lighting. Tiki torches, because of how easily they are to install and place in a garden, are a great landscape lighting idea. 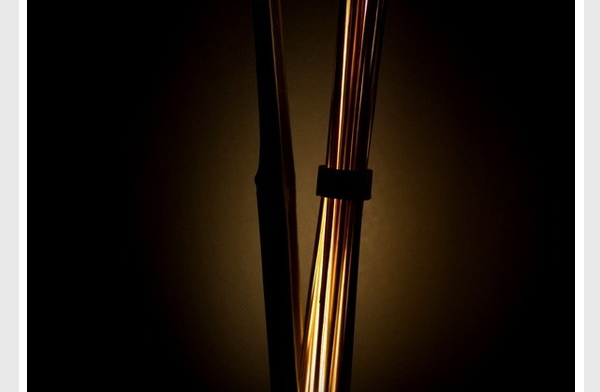 When it comes to the torches there is a range to choose from, from the permanent metal (copper, steel) torches that require gas piping, to the standard bamboo torches. It is with these simple an elegant bamboo tiki torches that you can use citronella oil. Tiki torches are so easy to install compared to electrical exterior lights, all you need to do is stake them into the ground. If a patch of soil is not accessible, then simply use a bucket full of sand to plant the torches in. 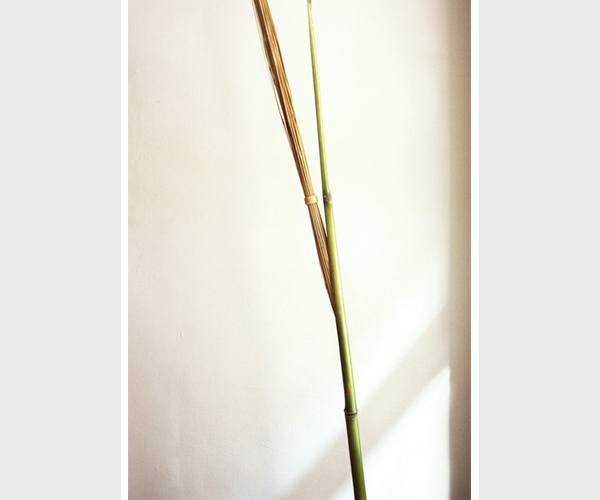 You have the (1) shaft, usually made out of bamboo that will be planted into soil or sand. There is then the top (2) encasing, weaved out of bamboo to encase the (3) fuel container. This fuel container will usually be made out of plastic or metal. On top of the container will usually be a (4) metal guard, that protects the container and encasing from the flame. There is also the (5) wick that protrudes from the fuel container. And the last part of the torch is the (6) fuel within the container. Standard kerosene can be used, but citronella oil would be a better fuel option. Citronella oil is harvested from citronella grass, a cousin of the lemon grass. Because it is harvested and produced from the grass, citronella oil is an organic substance. 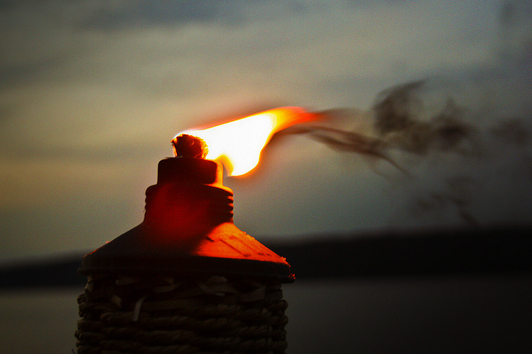 Citronella tiki torch oil will burn slowly and burn with less smoke. The burning of the citronella oil will also act as a natural, non-toxic insect repellent. For best protection against the insects it would be best to plant your citronella torches about 15 feet apart in the garden. 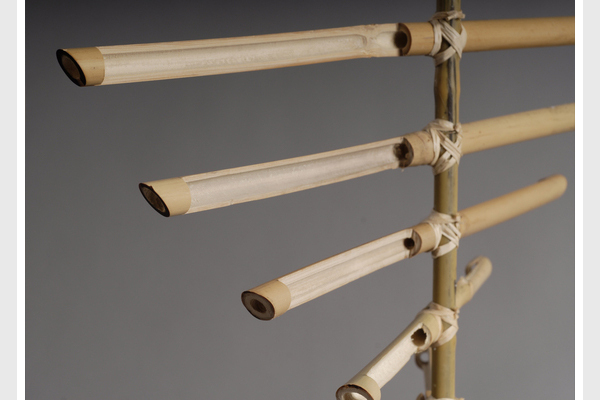 The common bamboo tiki torches can be bought for $5-30. They readily available at home department stores, hardware stores, or even online at Amazon. While a bottle of citronella oil for tiki torches will cost $5 to $10 per bottle.